One of the challenges of going to the beach is deciding where you’re going to eat. Do we eat at some place we know? Or do we strike out on a new adventure? Saturday night, we decided to try some place new. 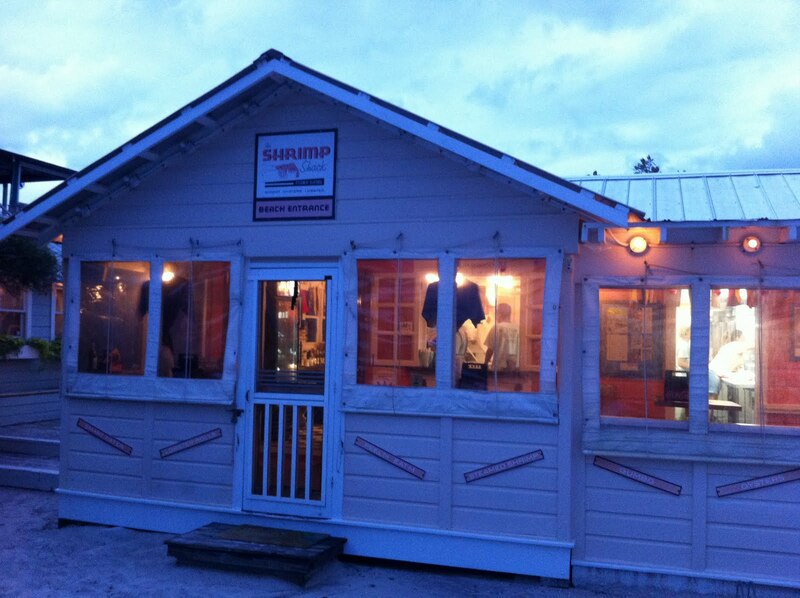 We were heading down to Seaside, to either Bud and Alley’s Taco Bar or Pizzeria, but wandered upon the Shrimp Shack. 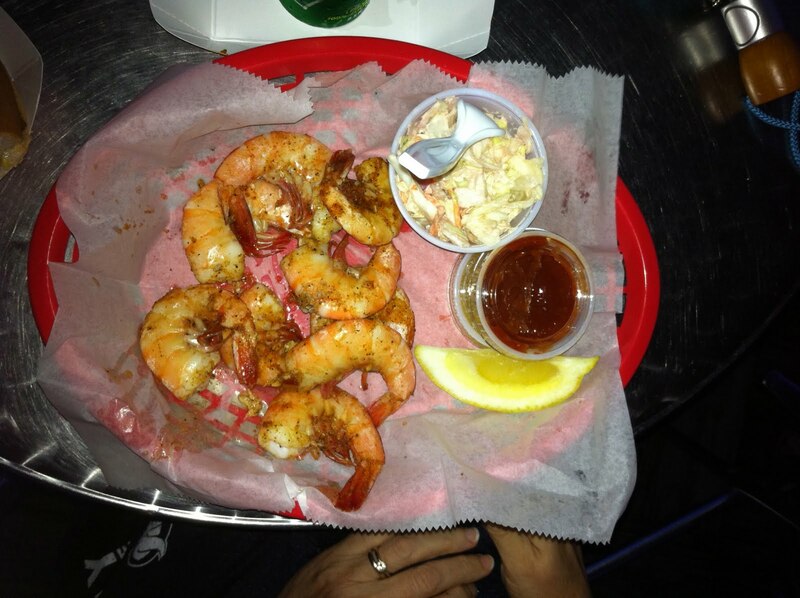 The menu was extremely simple: three kinds of shrimp – peel & eat, red rock (Jo’s choice) and steamed to order, along with three sandwiches – a Cuban, shrimp po-boy and a lobster roll. 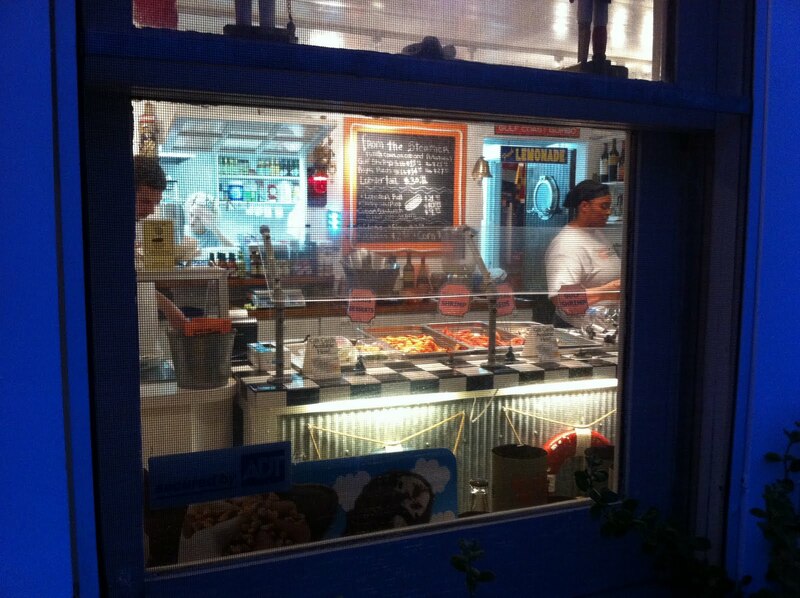 You can see the menu and the steam table through the window. We arrived as it was approaching dusk. Not being a huge shrimp fan, I went with the Cuban sandwich. Big mistake. The sandwich was bland and the bread pressed beyond crispy. Jo did order the shrimp. The shrimp was steamed to order and came out of the kitchen hot and seasoned, according to Jo, perfectly. She said that she gladly could have eaten that shrimp every night we were at the beach. It is usually served with corn on the cob and steamed fingerling potatoes. I had an order of the potatoes and they were fingerling sized, with drawn butter in which to dip them. Very good. 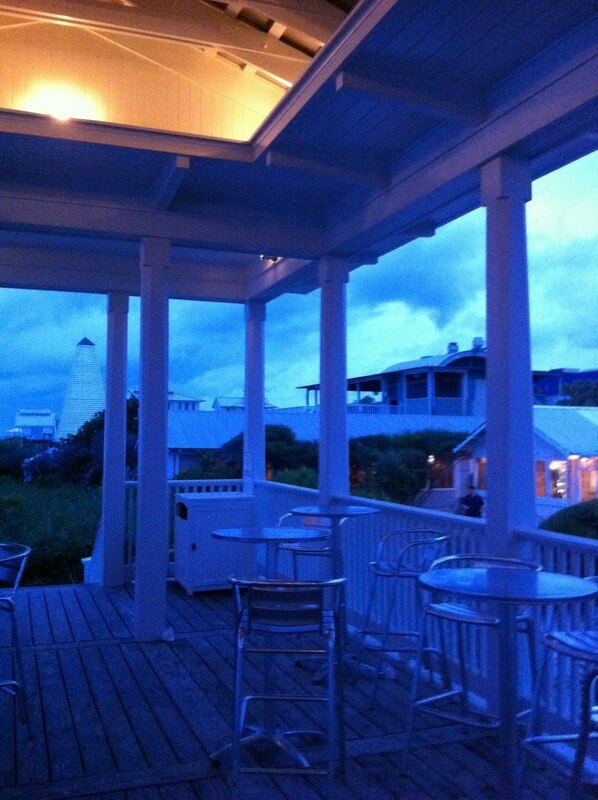 The setting was picturesque – a pavilion on the beach, looking over the dunes to the water. This picture is out of the back of the pavilion toward the Shrimp Shack itself (there were people on the ocean side and they cluttered up my picture.) It is definitely worth a stop if you’re on the Emerald Coast.